We realised that one month isn’t enough time to include all the volunteers (and their organisations) that we’d like to highlight. As such, the GLAMR volunteer interview series will continue for a little while yet. We look forward to sharing more fun tales and opportunities. In a spot of good timing, we also had one of our regular events in June, the #GLAMRtax workshop. A post is coming soon! Our next event is a Café Catch Up on Saturday 25 July, 12:30 at Two Before Ten, Aranda Shops. It would be lovely to see you there, please RSVP on facebook or eventbrite. The Canberra Library Tribe is thrilled to be part of #blogjune 2015. This blogjune post is part of our short series of interviews with people who volunteer in the GLAMR industry (Galleries, Libraries, Archives, Museums, Records). These stories will highlight the ample volunteering opportunities across Canberra, and showcase our local volunteer heroes. You can also find out how to volunteer! 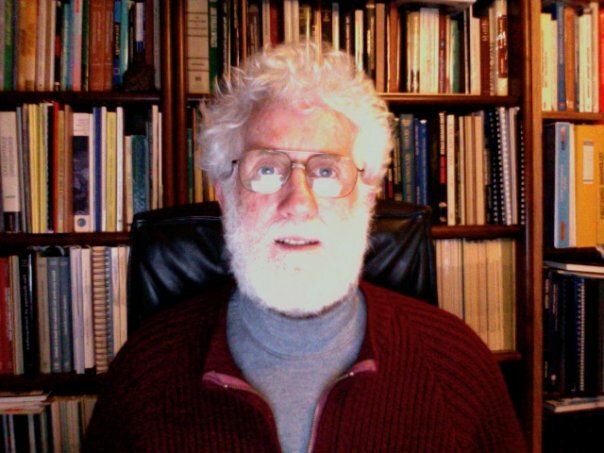 Our fifth interviewee is Kevin McCue, who volunteers as an online Trove Corrector (this role can be done anywhere, but he does live in Canberra!). The digitised newspapers zone in Trove has fundamentally changed my research process. I have been using the newspaper library facilities in most states of Australia and the UK since 1970 to search for information about earthquakes and volcanoes in Australia and Papua New Guinea, or elsewhere if they caused an impact on Australia such as the 1883 Krakatoa eruption in Java. In 1970 I started a postgraduate course in engineering seismology at Imperial College London and my first assignment was to compile a list of historical earthquakes in Australia. I haven’t stopped this search yet. At that time it was an onerous task, in London I had to catch a tube, then a bus to the Colindale Newspaper library, spend a few hours filling out forms to specify the newspapers I needed, checking first their availability, and then return a few days later to collect and search the newspapers and then get photocopies of the articles. It was easier than in Australia though where I had to travel to each state capital and then convince the librarian of my bone fides, one of them didn’t believe there were earthquakes in Australia so banned me until I produced a letter of authorisation. I have been using this information to compute earthquake hazard throughout Australia. I produce a map of hazard which is then incorporated into an Australian Standard and finally adopted by the Australian Building Code. The information has enabled me to publish many papers on Australian seismicity and hazard. I have used Trove since January 2011, to search and make corrections to digitised newspapers. What are the benefits of correcting Trove text? What kind of subjects will you focus on correcting in the future? Trove is like a dream come true. I sit at my computer desk at home in comfort to search and correct the digitised newspapers at my leisure. It is so productive, so fast and so satisfying. I compare it to doing detective work, you have to use the right search words for the time e.g. earthquake or tremor and limit it to place names and times, otherwise there are too many search results. It does take some practice to get proficient at it. I have branched out at times, to look for tsunamis, volcanoes, and even family business, how my grandmother died in a car accident, how my mother travelled to Rabaul in the early 1920s with her mother and sisters. I still haven’t discovered how my grandfather got there earlier. I think I have my life’s work cut out for me just searching for earthquakes. As you scan more newspapers (please hurry up), I get more data and can revise earlier estimates. Correcting the digitised newspapers improves the searching experience and teaches me history, for example you have to be careful correcting place names, Burrawa has had several spellings in its history. I have used Trove principally to get information for my research and it has proven a fantastic resource to get information that otherwise would have been extremely time consuming and prohibitively expensive to obtain. I have published several papers using information obtained via Trove. Whoever set up the Hall o’ fame was very clever to make it a voluntary competition, which ranks Trove correctors in order of the number of corrected newspaper lines. It is always fun to see people coming and going on the limited list available as you speed up or slow down, go on holidays. I try to imagine what some of the correctors like John Warren and Ann Manley look like. Do you have a favourite Trove article or item? Or have you learnt something odd from making the corrections? No, no favourites, they are all fascinating and useful. I have learnt a lot about earthquakes in unexpected places, comparing the pre-instrumental history with the modern record has been most informative. For decades they occur in one place and then stop and move somewhere else. Using just the modern record tells only part of the story. 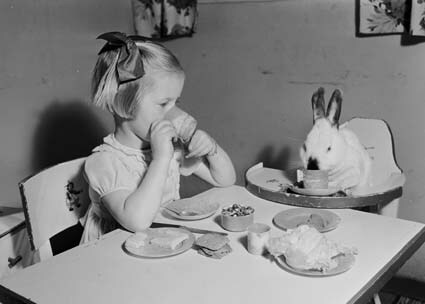 Could you share some tips for people starting out as Trove Correctors? You get only what you search for, if you don’t find what you expect you may need to change the search words or dates e.g. Charlie rather than Charles. You can also use a wildcard like Charl*, which will do a broader, fuzzier search. The Trove help section explains search options as well as power searching. Don’t give up! I don’t know if there are people who would pick a date, e.g. their birthday, and then correct the whole newspaper. Maybe that would motivate some. How do people become a Trove Corrector? You need to be self-motivated and have a goal such as finding out some family history, the date someone got married or whatever, at least that’s why I do it. Learn more about why text needs to be corrected and how to start via Trove’s Help Centre. If you’d like some guidance for your text correction, a handy guideline was created by the top 5 text correctors, and is available on the Trove Forum. The Canberra Library Tribe is happy to be part of #blogjune 2015. This blogjune post is part of our short series of interviews with people who volunteer in the GLAMR industry (Galleries, Libraries, Archives, Museums, Records). These stories will highlight the cornucopia of volunteering opportunities across Canberra, and showcase our local volunteer heroes. You can also find out how to volunteer! Our fourth interviewee is Cliff March, who volunteers as a Tour Guide with ACT Historic Places. 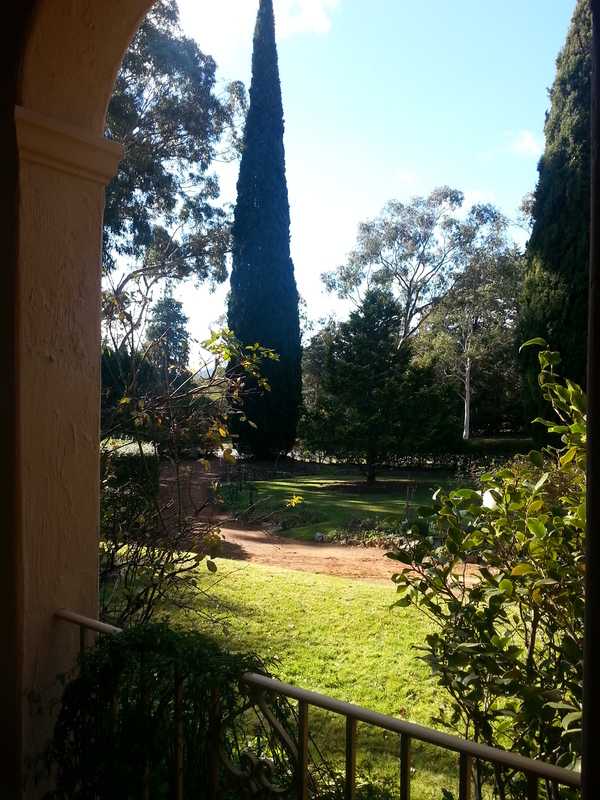 I’ve been a volunteer at both Lanyon Homestead and Calthorpes’ House since late 2013. I’ve always been interested in history, but had never thought about volunteering until I went onto the Calthorpes’ House website to look at the information for visitors, as I wanted to visit it myself, when I saw that there were opportunities to volunteer with ACT Historic Places. I emailed the point of contact and it all took off from there, and they were desperate enough to have me! Volunteering essentially means taking visitors around both houses, giving them information about the different rooms and pieces of furniture, all within the context of the history of the families who lived in those houses, and the time periods in which they lived. What are the benefits of volunteering with ACT Historic Places? The first benefit that comes to mind is the chance it gives me to learn about Canberran, and more broadly, Australian history. Not being from Canberra originally, learning about the city’s past has helped me develop a connection with it, and deepened my sense of Canberra being home. While I studied history at university, it was European history, (which I loved), and I’ve always felt like I had to learn more about Australian history. Volunteering at ACT Historic Places has been the perfect excuse to do this. Being able to share an interest with likeminded people, be that the other volunteers and staff, or with the visitors. I always enjoy spending time with and learning from the other volunteers, who are all quite passionate about what they do, and knowledgeable. The visitors usually are very informed as well, and often enlighten me about aspects of Canberra’s past, which I appreciate. This happens a lot at Calthorpes’ House where many visitors can actually recall the 1920s-1970s, the period when the house was occupied by the family. How did you choose which site to work at? We know that volunteers can select from Lanyon Homestead, Calthorpes’ House or Mugga-Mugga Cottage – does your selection arise from a special connection with the place? 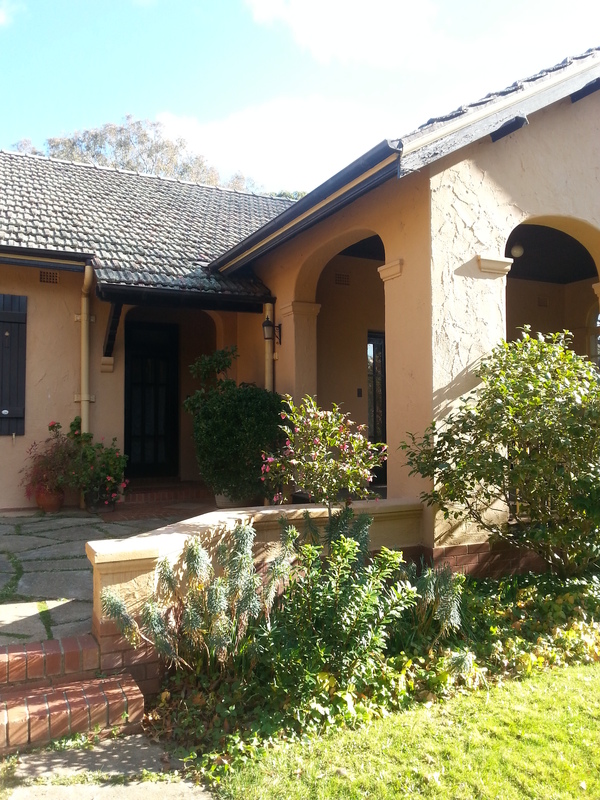 I was interested in Calthorpes’ House because the 1920s is a period that interests me a lot, and as soon as I discovered Lanyon I knew I had to volunteer there, as anything related to the Victorian era and Australia’s colonial past fascinates me. In that sense, my choice of where to volunteer was entirely subjective and emotional, rather than logical or rational but I’ve never regretted it. I love both houses and the feeling of going back in time whenever I’m there. One day I’d like to get to know Mugga-Mugga Cottage better, but at the moment two houses keep me busy enough. 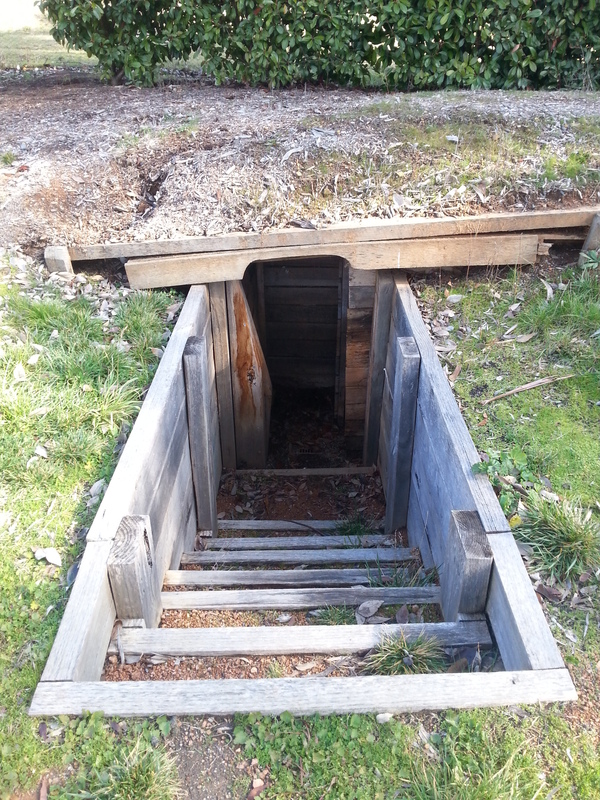 Do you have a favourite secret about Canberra’s historic house museums? I can’t think of a secret per se, but I have heard that Lanyon is haunted. I don’t know how much I believe it, but nonetheless I wouldn’t want to stay there alone overnight. It gets eerie on overcast, rainy days when we’ve locked up the house at the end of the day. How do people express interest to volunteer with ACT Historic Places? The Canberra Library Tribe is pleased to be part of #blogjune 2015. This blogjune post is part of our short series of interviews with people who volunteer in the GLAMR industry (Galleries, Libraries, Archives, Museums, Records). These stories will highlight the abundance of volunteering opportunities across Canberra, and showcase our local volunteer heroes. You can also find out how to volunteer! 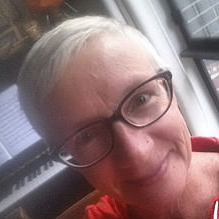 Our third interviewee is Vicki Marsh, who volunteers for the Arts Libraries Society Australia & New Zealand (Arlis/ANZ). I began working as the Cataloguing/Reference Librarian in the National Gallery of Australia (NGA) Research Library in 2001. I was encouraged by the team to join the Arts Libraries Society (Arlis/ANZ), which I did without hesitation; after all it was good value for money, was tax deductible, and promised to be beneficial in my new career in the Art Libraries sector. The Chief Librarian (Margaret Shaw) and the NGA supported my attendance at the Arlis/ANZ biennial conference in Auckland in 2002 where I had my first taste of Trans-Tasman Art Librarians en masse. A couple of years later, in 2004, as the next conference (in Sydney) loomed on the horizon the National Secretary was seeking someone to take over the role and I was encouraged to nominate. Naturally I was initially hesitant as I felt I was still brand new to the Art Libraries sector and had never been a secretary of anything before. I was assured that it didn’t involve a lot of time commitment and that I would be perfectly capable, so I agreed to take it on. As the National Secretary I supported Linda Groom (National Chair and NLA Pictures Librarian) in the organisation of our fabulous Canberra Conference in 2006. I transitioned from the role of National Secretary to the role of ACT Chapter Treasurer in 2007. Being Chapter Treasurer was a big learning curve and prepared me for the role of National Treasurer that I accepted at the 2008 AGM in Brisbane. I performed both National and local Treasurer roles in tandem. It was during this period, in collaboration with Joye Volker (National Chair and current NGA Chief Librarian) and others, that we organised, in my opinion, the best Arlis/ANZ conference yet. It was at this conference, held in Darwin in 2010, that a new National Treasurer was elected and I handed over the role in early 2011. In 2011 I also ceased being ACT Treasurer and took up the ACT Chapter Chair position and have been in that role ever since. What are the benefits of being part of Arlis/ANZ? What kind of things do you envision Arlis/ANZ doing in the future? Benefits: Wonderful conferences, travel, interesting art related events e.g. exhibition tours. Generally lovely people, access to an expanded network within and beyond the sector. Future: On a local level I’d like to see meatier events organised, e.g. seminars, plus more road trips to places within driving distance of Canberra. On a national level I’d like to see a return to an advocacy role that has slipped under the carpet a little bit in the last few years. I’d also like to see a return to Arlis/ANZ involvement in special projects that are of benefit to the industry. For example, in the past we have funded digitisation projects to help make “grey” literature more visible and accessible. Engaging with other art librarians in both a formal and social capacity. The opportunity to participate in an organisation that has an Australia/New Zealand membership base plus links with international art librarianship. Facilitating, with a great deal of support from our Events Officer (Sonja Barfoed), many interesting tours and events for our ACT Chapter membership. Did I mention the conferences? Arlis/ANZ has a large focus on local chapter events as well as the biennial conference. What’s been your favourite event so far? I always enjoy the conferences (I’m beginning to sound repetitious), the most recent was in Auckland and it was fantastic to go back and see the Auckland Art Gallery in its new building, 12 years after my very first Arlis/ANZ conference at the same venue. Arlis/ANZ also engaged with International Federation of Library Associations and Institutions (IFLA) to organise a pre-conference study tour (Art Librarians Down Under). The tour gave international delegates to the 2013 IFLA World Library and Information Congress in Singapore the chance to visit Australian art libraries, galleries and other cultural institutions. As a member of the organising committee I had the pleasure of meeting 4 delegates from Scandinavia and the U.S. and escorting them on an interesting program of activities in Canberra, Sydney, and Darwin. As far as ACT chapter events go I think our art road trips have been highlights, especially because they offer a mix of different art (and shopping) related activities. These activities have included visiting galleries and artist studios as well as local art and craft business enterprises. They are a wonderful way of engaging with the art communities in the wider ACT region and we have plans for more frequent road trips in the future. How do people join Arlis/ANZ or volunteer as a Committee member with their local chapter? Individual Arlis/ANZ membership is great value at only $35AUD per annum, you can join at any time as the 12 month membership is counted from your date of registration. You can join Arlis/ANZ through our website. You can also follow what’s happening on our Facebook and Twitter accounts, as well as our Google Group listserv. In the ACT chapter, we organise our events through Eventbrite. We are always happy to see new members at our events and the AGM. The AGM is held in the second half of the year and that’s when we elect new office holders. If you’re interested in becoming more involved please contact me directly via my Arlis/ANZ profile on the website. 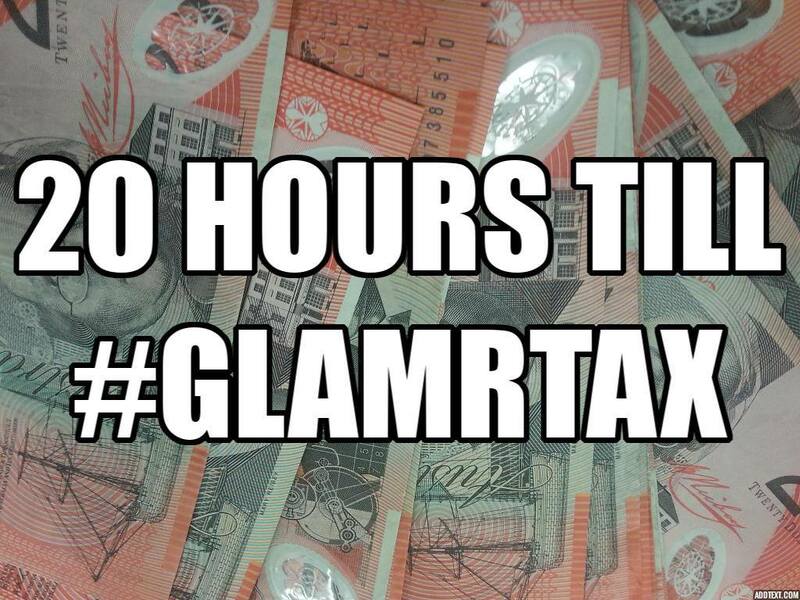 There’s only 19 hours till our #GLAMRtax event – a special workshop especially for the GLAMR industry. So if you work in galleries, libraries, archives, museums or records management, this is especially for you! (we’re all going to learn heaps about personal taxation and answer some tricky questions you didn’t even know you had). We took a photo of $20 but not $19 – so let’s pretend it’s 20 hours countdown! 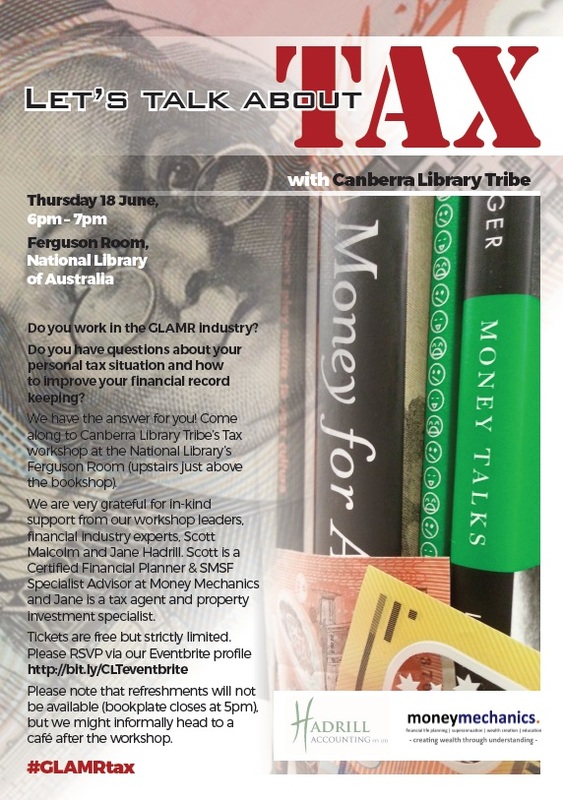 Let’s talk about tax (obvious nod to Salt ‘n’ Pepa) features brilliant financial industry experts, Scott Malcolm (Certified Financial Planner & SMSF Specialist Advisor at Money Mechanics) and wonderful Jane Hadrill (tax agent and property investment specialist at Hadrill Accounting). The Canberra Library Tribe is delighted to be participating in #blogjune 2015. Our second interviewee is Kate Bunker, who volunteers for the Canberra Library Tribe (us! …we are run by a small group of volunteers). How did it start? Well I guess I was there at the start…an informal meeting around early 2013 of a few library folk who were looking for something more in the Canberra GLAMR world. I guess we took a lot of encouragement from the things that were happening in ALIA Sydney at the time. We started fairly small, we wanted some fun events. We wanted minimal cost and variety. 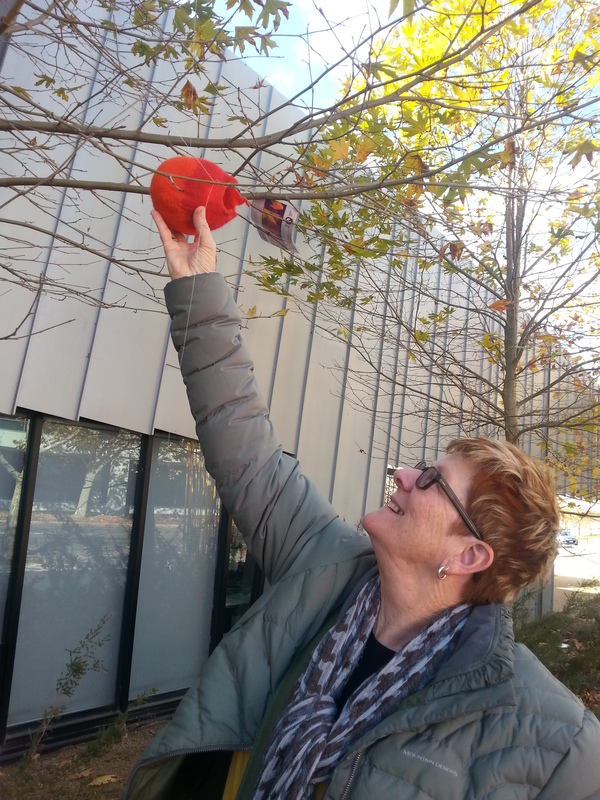 What are the benefits of being part of Canberra Library Tribe? What kind of things do you envision Canberra Library Tribe doing in the future? Benefits – networks, a community of sorts. We do a lot through email and the occasional catch-up in between events. We all take turns monitoring and adding to our CLT social media presence – Facebook, Twitter and this blog. Well the next big thing is Tax! With people who have generously given their time, and know about tax! Let’s talk about tax…. (with apologies to Salt ‘n’ Pepa). Sorry didn’t mean to sound like an ad! In the future we aim for more fun. On the drawing board for later in the year are library drinks and a seed ball making workshop. 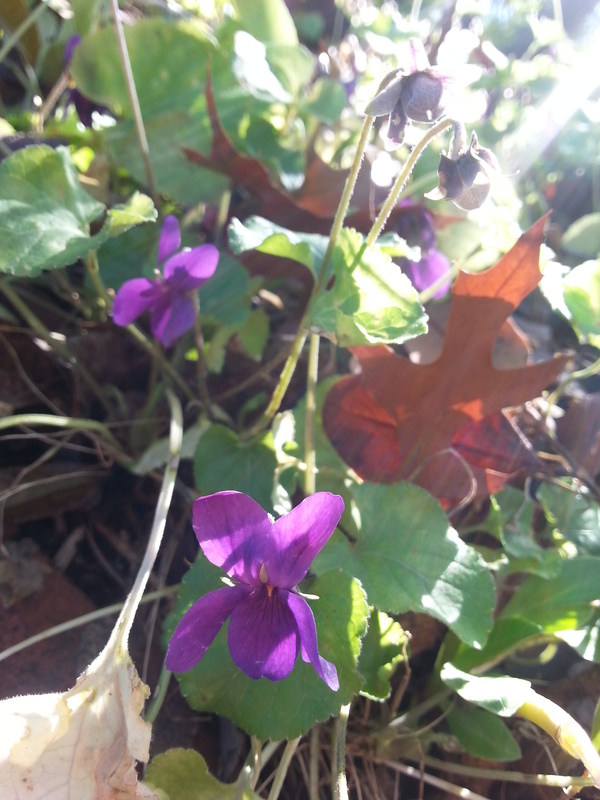 2016 is a mystery at this stage, but we have lots of ideas! We are also pursuing archival status with the ACT Heritage Library. Connecting with people, that’s what it’s all about. And spreading the GLAMR word around ACT and surrounds. And finding out things. The whole really is greater than the sum of its parts. As mentioned, we all contribute to the CLT’s social media presence and work together to run three or more events each year. Sonja is a fabulous planner and facilitator. Danelle does great artwork for our events. Cath finds wonderful venues and promotes our events to library students. Sarah organises our innovative mentoring program and brainstorms exciting new events. (editor’s note – Kate does excellent “at-event” documentation, and ensures our Facebook page is “the” place to find GLAMR information in the ACT). How does CLT work with other library groups? We want to work together – with ALIA groups (in the ACT there’s ACTive ALIA, APSIG, OPALs, URLs), AGLIN, and all the other groups around. We don’t want to step on toes. Just offer options and different types of events. Do people have to join Canberra Library Tribe? How do you volunteer as a Committee member? It’s a very loosely formed tribe. Most people ‘like’ us on Facebook, where we try and post on local events and newsy items as well as jobs. But there are no rules as such for joining. Connecting with CLT through some sort of social media just means you get to hear what is going on. You can also follow us on Twitter. We would love some new blood – our CLT committee membership is small – so if you have ideas and a little time (a few hours a month), let us know. Please! Or even ideas for future GLAMR happenings. We would love to hear from you. The Canberra Library Tribe is delighted to be participating in #blogjune 2015. You can find out more about #blogjune in flexnib’s 2014 post. We are kicking off with a short series of interviews with people who volunteer in the GLAMR industry (Galleries, Libraries, Archives, Museums, Records). These stories will highlight the abundance of volunteering opportunities across Canberra, and showcase our local volunteer heroes. You can also find out how to volunteer! Our first interviewee is J. Margaret Shaw, who volunteers for the National Portrait Gallery of Australia’s Research Library. After 26 years as Chief Librarian at the National Gallery of Australia I went to London for 9 months, where I worked as a voluntary cataloguer, and then returned to Canberra. I had no desire to sit doing nothing while my brain cells disintegrated and decided to work somewhere on a voluntary basis, preferably where I could use my professional skills. The National Portrait Gallery of Australia did not then have a Library so I approached the Director, Andrew Sayers, and asked if they would be interested in using my services on a voluntary basis to create a library. The NPGA staff is still small and certainly “boxes above its weight” but a professionally staffed library is for the time being beyond its means. I started work in November 2005 doing basically everything from picking the books off the floor to cataloguing and reference. In 2008 Libby Coates joined me bringing experience and skills from AIATSIS and the National Museum of Australia which both blended with my skills and matched the needs of the NPGA. Later that year we moved into our new building which included a small but pleasant space allocated to the Research Library. Recently (2015), we were joined by Gillian Currie after her retirement from the NGA. Between the three of us we do everything. The Research Library has now grown to over 5,000 print items together with files on the artists and sitters represented, or likely to be represented. We have very limited funds so on-line resources must be limited but Libby’s skills in searching remote resources have helped to fill the gap. We receive a large percentage of our collection from gift and exchange and some significant donated collections. 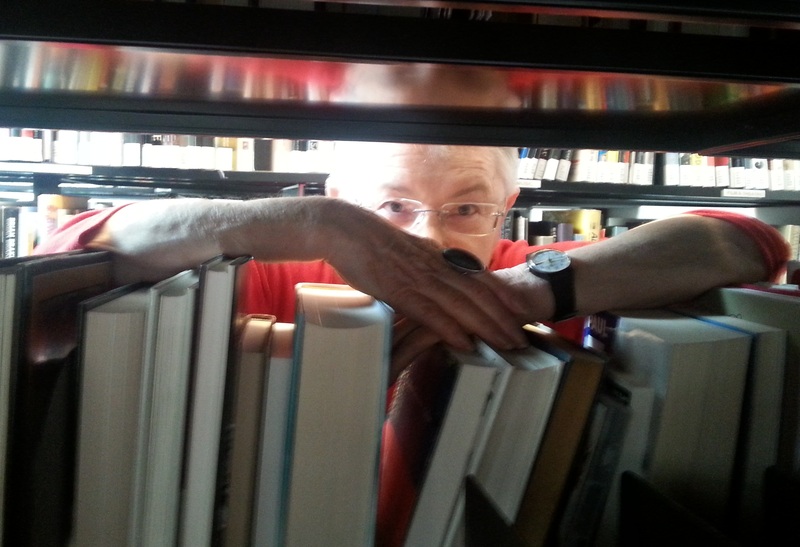 What are the benefits of volunteering in the Research Library? My brain still appears to be working more than 10 years after retirement (which occurred when I was 61). I still have the good fortune to be working in a field which I love and with people who make me feel both welcome and valued. The working environment means I can continue to learn, almost by osmosis, about new areas of both art and history. At the same time, the small scale of the library and the sharing of the work with very experienced colleagues mean that the stress levels are so low as to be considered non-existent. In 2009 the NPGA was described as having a “gem of a library”, having been transformed from a “chamber of horrors!”. How have the library’s services and space continued to evolve along with the NPGA? After previously being dependent on the library systems of our various parent departments (to whom we owe a debt of gratitude) we have now joined UNILINC. This eliminates the need to transfer to a new system with each machinery of government (MOG) departmental change and on one occasion saved us from being without a system when we moved to a department without a library. UNILINC provides a strong professional back-up and has stream-lined our cataloguing/OPAC/Libraries Australia functions and our entry into the Worldcat Art Discovery Group (a sub-set of Worldcat). With three experienced librarians we now have a much improved capacity to assist with research and carry out necessary technical services. The Library has also now reached a size at which NPGA staff expect us to be able to help. We have also an increased presence on the NPGA’s website which is producing a small but steady flow of queries from Australia and overseas. What is the most enjoyable aspect of your volunteer role? Do you have a favourite exhibition or portrait in the collection? Continued involvement in the activities of an art museum and my own professional role but on a scaled-down, stress free level. Depends very much on my mood. I find it hard to compare exhibitions which are all different in approach, subject and mood. I also find it hard to disassociate a portrait from the story behind it so I like works of many different styles both for their artistic qualities and for the reasons behind their production. How do people express interest to volunteer with the National Portrait Gallery? We have deliberately stuck to people with appropriate skills who require basically no training but can, rather, slot into the work-flow almost without a ripple. We are currently at full capacity. So far the NPGA does not really have a volunteer programme outside the Research Library but they are looking at the possibilities. The senior curator informs me that a volunteer policy is in development, for possible roles with a particular focus. Anyone interested could sign up to the NPGA’s newsletter for future opportunities via the NPGA’s website. I should like to add that there are many organisations in Canberra who have small library collections, or would like to have a small library, but who neither have the money nor an identified appropriate person to take on this role. It is a good way to combine professional skills with out-side interests. It also means that, should they eventually be able to afford to pay staff, the person/s appointed will take over a collection in good order.